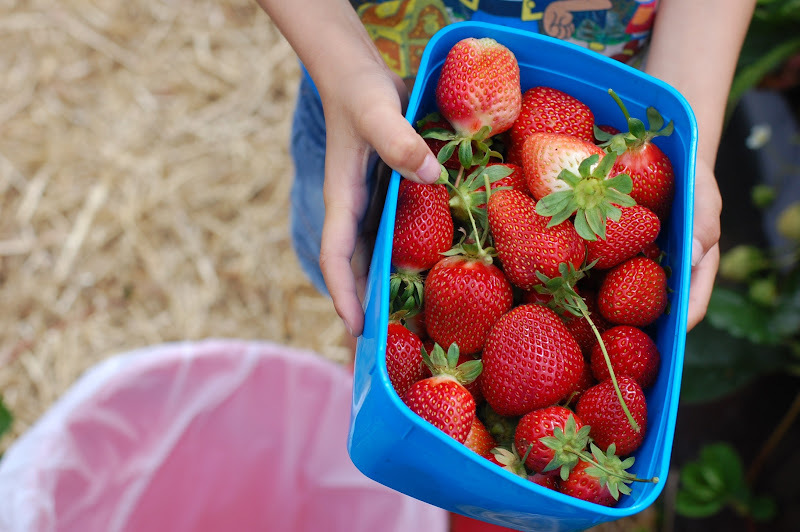 Forget snowmen and reindeer, strawberry picking and sand castles - that's what I'm talking about. Oh summer, oh giant nuclear reaction that is the closest star to this blue beach ball like planet, why am I so scared of your radiance and yet so happy when you shine so brightly on me? T'was my last day of the Christmas break yesterday. Today I'm back at my desk job, and Kien has gone to a school holiday programme for the first time. Being anxious about that is the understatement of the year thus far. I wish I could be on holiday forever, and he wishes he could be with me for almost as long. But alas, we need to make the most of the season while we still can, right? 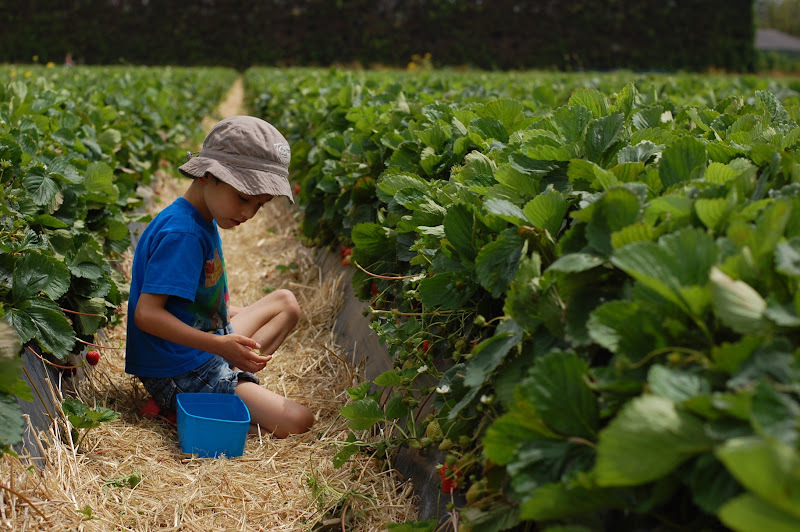 This is at Garelja Bros Strawberry Gardens in Kumeu, and yesterday morning we were there to pick the most beautiful and succulent strawberries I have purchased for quite some time. 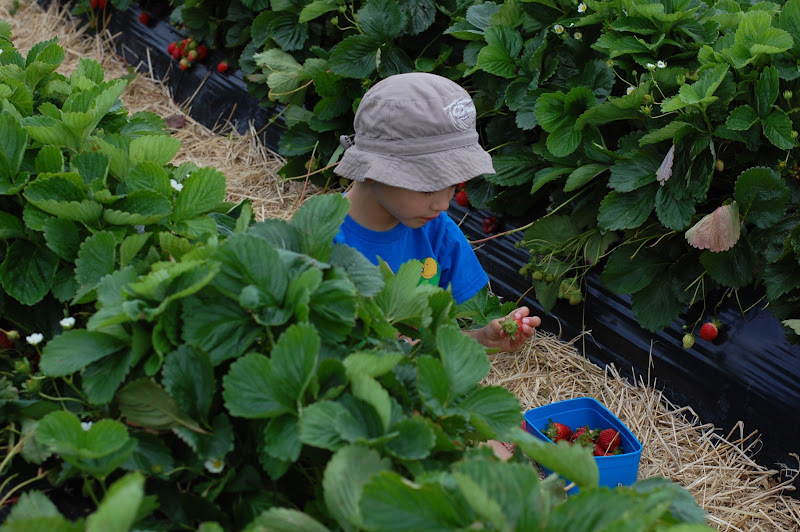 These strawberry fields are beautifully maintained, and the plants are so healthy and laden with fruit. 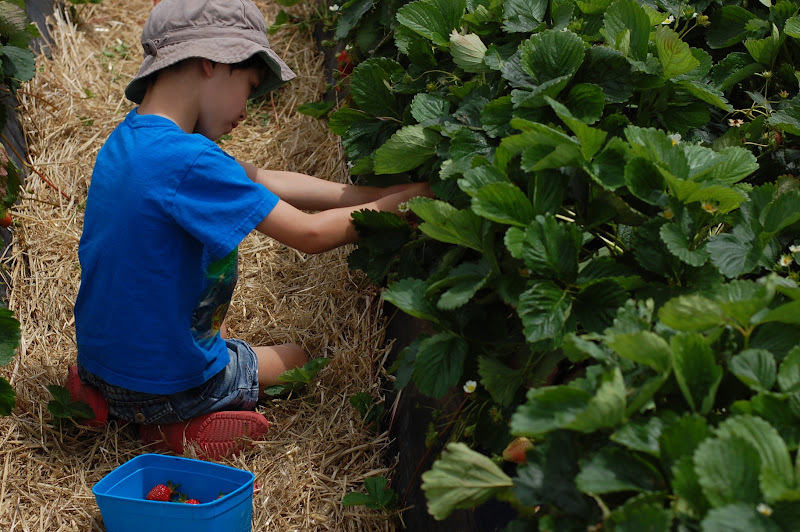 This boy goes strawberry picking at a field where it is customary to consume as many as possible before going in and paying for the rest. 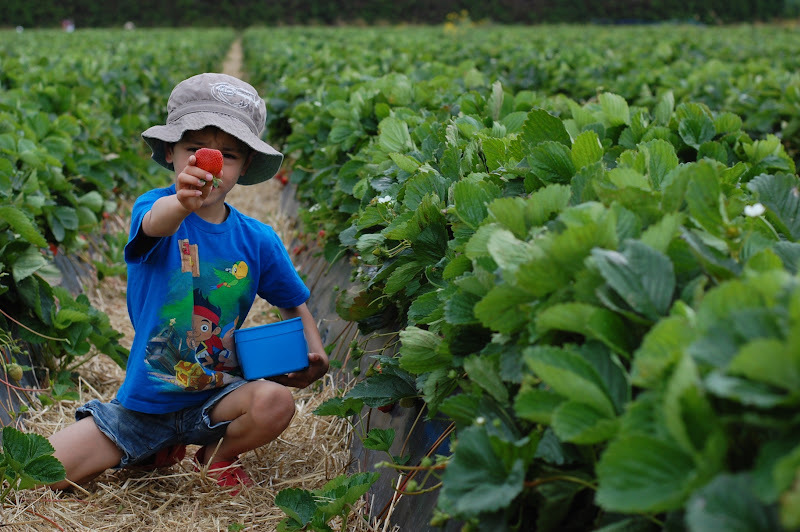 You’d think, being the berry lover that he is, he’d eat the whole damn lot. But no, he wanted to wait and pay for them first, and then eat them. 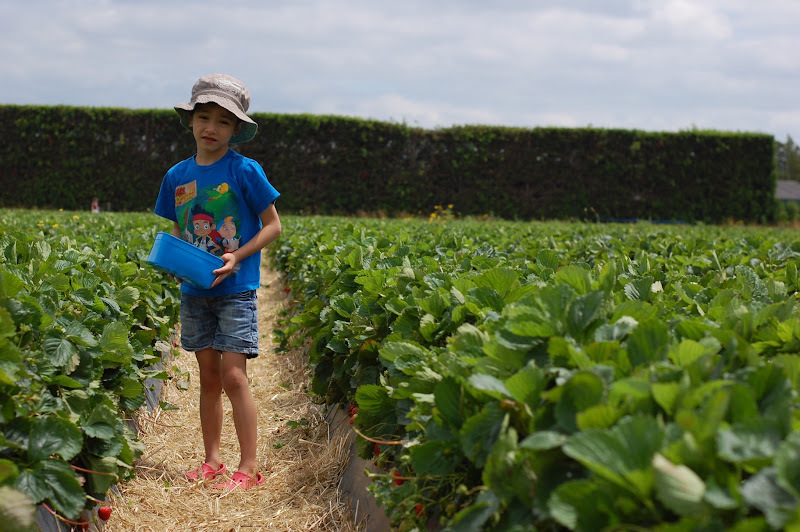 The girl at the shop even asked us when we were paying whether we had a good munch out there in the field. I had to say no! She looked at us like we were strange. Back home for lunch and a rest at the height of noon, and then we were at one of favourite beaches - Sentinel in Herne Bay. At high tide this slice of the harbour is awesome. 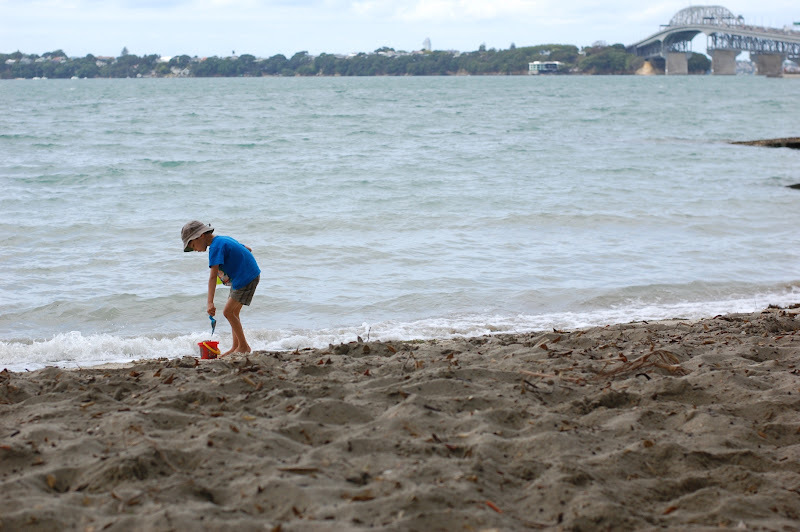 The sand is great for building castles, and the pohutukawa branches overhanging the beach makes a fabulous shady spot as well as a perfect placement of a swing. Such a fabulous day and a salute to a really good Christmas/New Year break. One more work day and it's the weekend! At least I'm easing back into things.